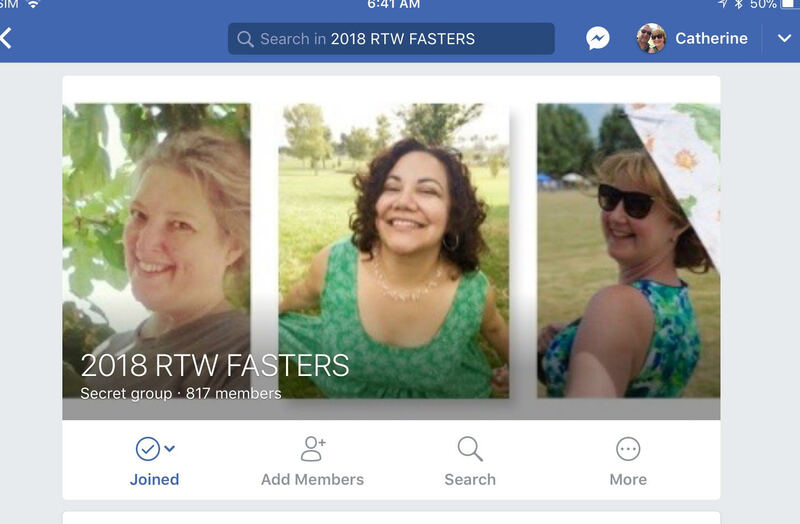 This year I have joined the RTW Fasters which means I have pledged to make all my clothes! So far so good and I am only shopping to look at the details and construction and the inside of garments for inspiration. That is me on the right with the umbrella! 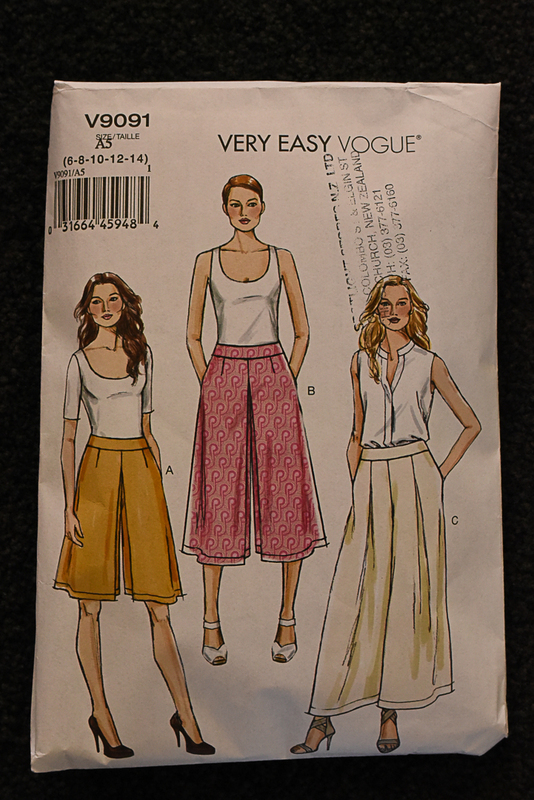 This fabric has been in my stash for a year and I originally thought I would make a jumpsuit out of it but then decided on culottes! 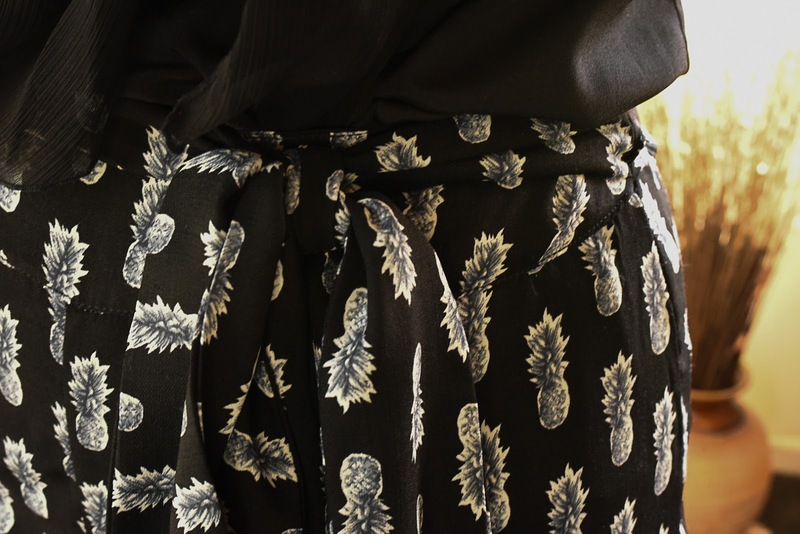 Pineapple 🍍 pants! 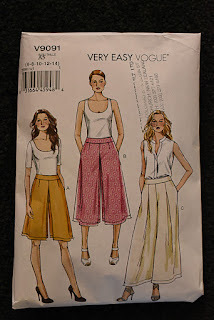 Vogue 9019 Culottes. I took out the pleats and look how roomy they still are! I also added a tie belt that is fastened at the waist at the side seams. Fabric was viscose I think but it puckered at the seams so there was quite a bit if unpicking. The fabric did not like the overlocker no matter how I played with the tension, so I ended up zigzagging most seams. It has a zipper at the centre back so I used an invisible zip. (The top is a bought one from about 6 years ago!) Happy sewing!